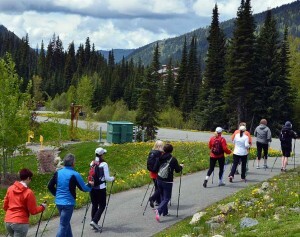 Discover Nordic Pole Walking at beautiful Sun Peaks Resort. Nordic Walking is one of the fastest growing outdoor fitness activities in the world, and is fun for everyone. 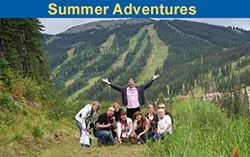 Join our experienced Sun Peaks Nordic Pole Walking instructors/interpretive guides, and learn the technique of Nordic Pole Walking, whilst exploring the beautiful walking and hiking trails at Sun Peaks. 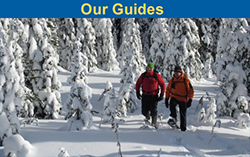 Join our certified Sun Peaks Nordic Walking Instructors/guides and explore our valley trail system whilst learning the technique of Nordic Pole Walking. Originating in Finland, Nordic Pole Walking is now one of the fastest growing outdoor fitness activities in the world. Because Nordic Walking uses poles, it engages your whole body using all major muscle groups, and can provide up to 46% more effective exercise than regular walking. 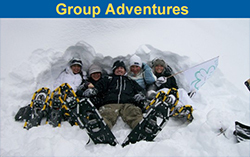 The result is a fun, easy, exercise activity that offers great health benefits and can be enjoyed by everyone. If you can walk you can Nordic Walk! Dates: 2017 schedule available soon! 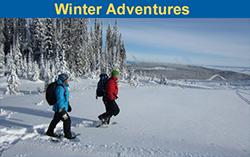 Includes instruction,use of Keen Fit Nordic walking poles, and interpretive guided program. Private instruction and group programs also available throughout the summer. Please contact us for rates and availability.